Activated carbon is used as a polishing step to remove dissolved organic and non-biodegradable compounds following physical and biological pre-treatment processes to remove solids and biological oxygen demand. Granular activated carbon (GAC) is used in fixed filter beds, standalone adsorbers, or in a moving bed configuration, while powdered activated carbon (PAC) is typically dosed into a coagulation/flocculation tank or applied in combination with an active sludge process. Activated carbon is increasingly used to adsorb contaminants of emerging concern from wastewater effluent to prevent their release to surface waters. These contaminants can include endocrine disruptors, hormones and pharmaceutical residuals. Municipal wastewater treatment. Residential and commercial wastewaters tend to contain concentrated organic wastes that are readily biodegradable in a traditional municipal wastewater treatment plant. 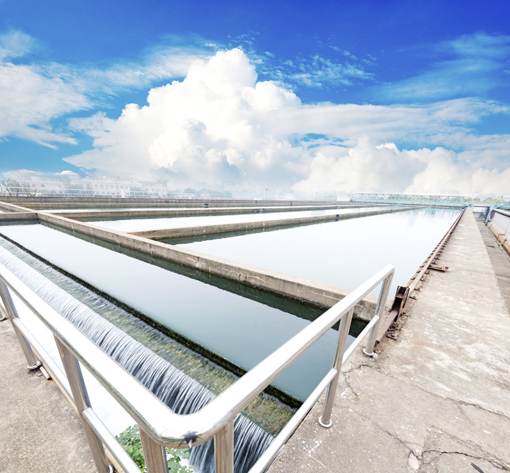 We provide activated carbon to help municipal wastewater treatment plants meet stringent, regulatory-driven effluent water quality criteria by removing pathogens, oxygen demanding compounds, and inorganic and synthetic organic chemicals. Industrial wastewater treatment. Industrial wastewaters can contain man-made compounds that are often not readily biodegradable and require special treatment processes. Activated carbon is used to adsorb non-biodegradable compounds, or when the wastewater stream is too dilute to support a biological system of beneficial microorganisms that break down organic wastes. These industrial wastewater streams are found in the chemical, refinery, textile and general manufacturing sectors and may contain a range of organics, colorants, phenolic compounds and chlorinated organics. GAC and PAC-based processes are applied depending on the composition of wastewater and treatment targets.